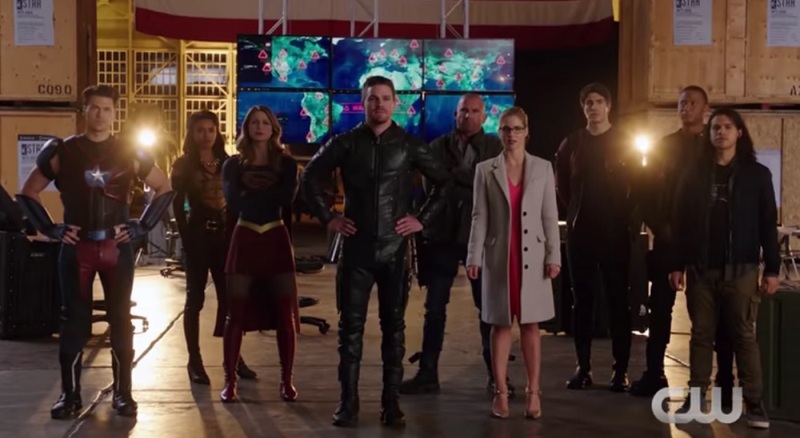 The CW, home of superheroes and legendary time-travelers, will have characters from four different shows meet up starting on Monday November 25th. TV Line revealed that the entire story will all start with the Nov. 28 episode of Supergirl. In it, Lena Luthor will battle an alien supervirus with the DEO ward.The next part will be in The Flash. The speedster show, on the other hand, will backtrack a bit to show Barry Allen and Cisco Ramon recruiting Supergirl. Plus, this will not be the only crossover happening in the speedster series. Then CW’s four-way superhero crossover final battleground for the epic clash to come will be DC’s Legends of Tomorrow. Gizmodo shared the official synopsis for the Dec. 1 episode of the itinerant show. It would seem that the ragtag Legends will be the last to know about the oncoming alien invasion. But when they do, they gear up to work with Flash, Arrow, and Supergirl. Professor Stein will figure out how to eliminate the invading alien race, with a dash of help from his team and other heroes. But instead of focusing solely on the mammoth task at hand, he is hit by a realization. Stein realizes that he, instead of avoiding aberrations, created one in 1987. But there are questions about that. What was the aberration and how could it impact the Dominator-wiping operation?